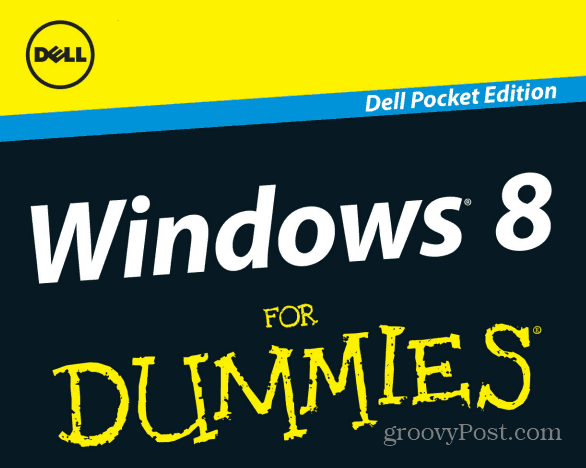 Dell is giving away a free eBook — Windows 8 for Dummies. The book is 138 pages, though packed into a smaller format because it’s the pocket edition. 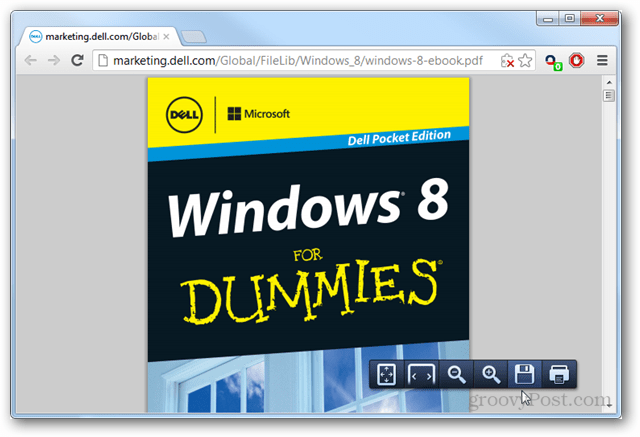 Dell is giving away a free e-book for new Windows 8 users from the infamous “for Dummies” series. The book is roughly 138 pages, though packed into a smaller format because it is the pocket edition. It comes in PDF form and is roughly 11MB in file size. 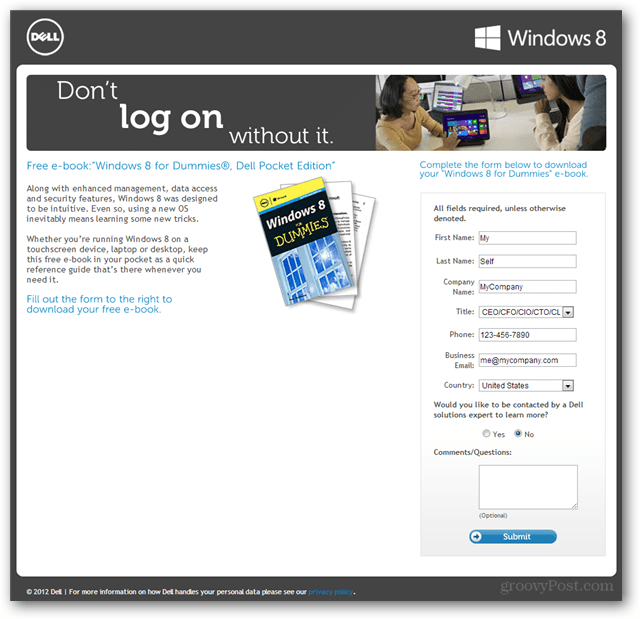 To get the free e-book visit http://marketing.dell.com/windows-8-ebook. The site will request some basic information (which you can enter whatever you want), and then the download will begin upon pressing the Submit button. If you’re using Google Chrome as your PDF reader. the eBook will open up in a browser window. You can save it to your computer by using the save icon at the bottom-right of the viewer, or use the Save Webpage As command from the options menu. And you’ll probably want to zoom in on the text to actually see it. Now, if you have no desire to give Dell any of your contact information, check out our Complete Guide to Windows 8, which is essentially an online book that’s being updated weekly.